3/ Old fashioned hard work. Michael Specialities are selling houses, units, land, unit blocks and development properties. Another of Michael’s specialities is the large parcels of land mainly 800m2 or bigger. We have a very good contact lists of many builders, developers and investors we deal with who are constantly wanting these blocks. For free market appraisals or a free consultation on preparing your house for property for sale please feel free to contact Michael on 0418 886 410 or sales@regstrow.com.au. Michael has been in the industry since 1994. 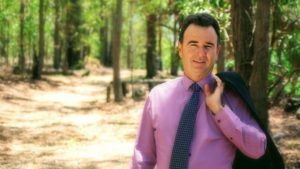 Michael has received numerous awards for high levels of sales in Queensland.